Need Tree Pruning in Bokeelia, Florida? You’re In the Right Place! If you want to maintain the beauty of your property, it’s essential that you call a proven expert at tree pruning in Bokeelia, Florida. Helping to protect the health of your trees and — by extension — working to preserve their beauty, pruning is a great way to boost your property’s appearance. In today’s post, we’re going to cover a couple of common questions about tree pruning and, more importantly, help you decide what type — and when — you need. As the leading experts on tree pruning in Bokeelia, Florida, Young’s Tree Services can help you understand the process. Often, this includes ornamental hand pruning, balanced crown reduction, or wind sail reduction for top-heavy trees. The different types of pruning address different issues: some are performed to ensure healthy growth, others to prevent overgrowth, and still others are strictly for aesthetic purposes. We typically recommend annual or, at the very least, biannual pruning. This frequency is a great balance between over-pruning, which is costly and only marginally beneficial, and under-pruning, which puts the health of your trees at risk. You bet! Once your trees have been pruned, you can recoup some of the cost by selling the wood chips for mulch. Additionally, you can offload some of the remaining wood as firewood, something that people are always looking for! 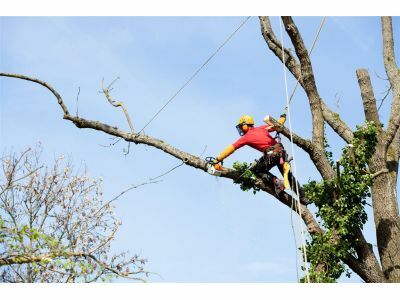 At Young’s Tree Services in Bokeelia, Florida and Kalamazoo, Michigan, we’ve worked tirelessly to position ourselves as experts when it comes to tree pruning, storm damage control, building clearance, and more. If you’ve been searching for a company to help you beautify your property and — more importantly — keep it safe, contact us today to learn how we can help!